Grow your network and find opportunities aligned with your professional experience and background. 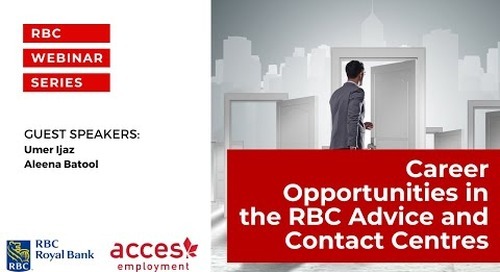 In this webinar, Vivian Li, Senior Manager, Inclusive Recruitment at RBC Royal Bank, provides strategies to help you impress employers and build a network that leads to professional roles. Talk to people in your network who are working in similar roles to understand the company culture and what a day-in-the-life might look like. Collect all the information you can ahead of an interview.